포항 중성리 신라비에 대한 여러 학자들의 연구를 종합해 보면 이 비는 신라사 연구에 획기적인 자료이다. 이 비의 발견 장소가 냉수리신라비 발견 장소로부터 8.7㎞ 밖에 되지 않는 가까운 거리인 데다, 비문의 내용 또한 유사점이 많다는 데 주목하지 않을 수 없다. 다시 말하면, 지방민이 관여된 재산과 관련하여 분쟁이 있었다는 점, 이들 분쟁에 대해 신라의 지배층들이 합동으로 판결을 내리고 있었다는 점, 판결 이후 이들 문제에 대한 앞으로의 재발 방지를 명시하고 있었다는 점 등의 유사성이 있고, 그리고 관직명과 관등 표기의 유사성 및 포항 냉수리 신라비에 나타나는 인물과 동일인이라고 추정되는 인명 등을 확인할 수 있다는 점에서, 당시 신라의 정치적, 경제적 문화내용을 연구ㆍ확정 지을 수 있는 중요한 자료가 될 수 있다는 점에서 그 역사적, 학술적 가치가 매우 크다. 특히 이 비는 지금까지 발견된 신라비 중에서 그 연대가 가장 앞선 비일 가능성이 매우 높아 신라의 서예사를 연구하는 데 획기적인 자료가 될 것이다. 우선 문장 기술이 능숙하거나 세련되지 못한 점으로 보아 당시 신라에서는 중국의 한문(漢文)이 크게 보편화되지 않았음을 추정해 볼 수 있으며, 또한 비문의 서체로 보아 중국의 한(漢)나라 또는 위진(魏晉)시대 서예의 영향을 크게 받지 않고 있었음을 추정해 볼 수 있겠다. 이 비의 서체를 굳이 중국의 서예 발전의 과정 상에서 비추어 본다면, 소전(小篆)으로부터 예서(隸書)로 이행되어 가는 과정 상의 고예(古隸)에 비견해 보거나, 상하 장방형(長方形)의 소전체로부터 좌우 편방형(偏旁形)의 예서체로의 이행 과정 상에서 잠시 나타났던 파책(波磔)이 없는 고예체에 비견해 볼 수 있겠다. 그러나 엄밀히 말하면 중국의 서체와 서풍에 별로 영향받지 않은, 신라의 자생적, 토속적 서체ㆍ서풍이라 하겠다. 글자의 결구가 불균형의 조화를 이루면서, 토속적이고 서민적인 익살로 넉넉한 여유로움의 자유를 구현하는 무정형(無定形)적 서예미학을 창출하고 있다. 이는 어느 서체ㆍ서풍만을 고집하지 않고 전법(篆法)ㆍ예법(隸法)ㆍ해법(楷法)은 물론 행법(行法)까지도 두루 섭취ㆍ융합하여 불균형의 조화를 구현하고 있는 신라적 자생서예라고 하겠다. 이 비는 통일신라 이전 신라시대의 심미의식과 초기 신라 서예사를 밝히는 데 획기적 자료이다. 또한 이 비는 통일신라 이전의 역사와 문화 예술 연구에 귀중한 자료로 평가된다. 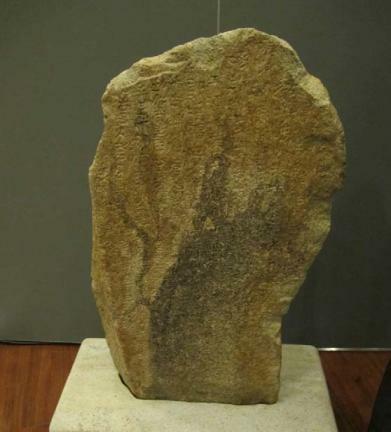 This Silla Monument discovered at Jungseong-ri, Pohang, is generally regarded as a very important material for the study of the history of Silla. First of all, the monument is located only 8.7km from the site where the Silla Monument in Naengsu-ri was discovered, and the content of its inscription has remarkable similarities with that of the latter. 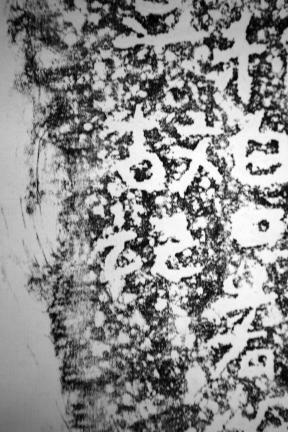 The inscription, for instance, includes a record about a conflict between local people over a property which was brought to settlement by a joint decision made by the ruling class of Silla, with the imposition of measures to prevent its recurrence. It also contains the titles of various government posts and ranks and even names of people comparable with those inscribed on the Silla Monument in Naengsu-ri, providing scholars with a valuable source of information on the politics, economy and culture of Silla. 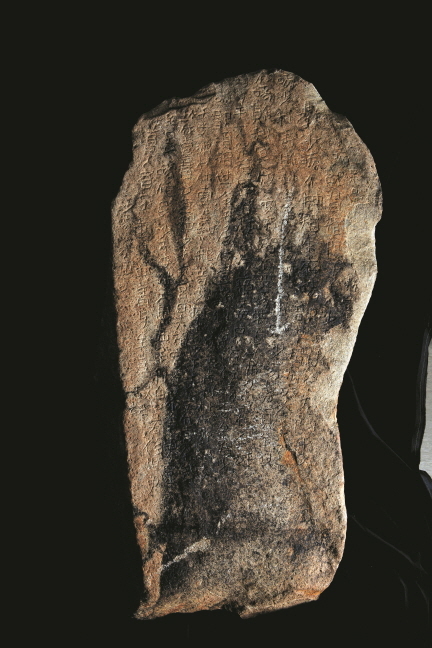 For some experts, this is probably the oldest Silla monument discovered so far and therefore constitutes an extremely valuable resource for study of the aesthetic sensibility of early Silla people and the development of calligraphy, as well as the general history and culture of Silla before the unification of the Three Kingdoms in the 7th century.